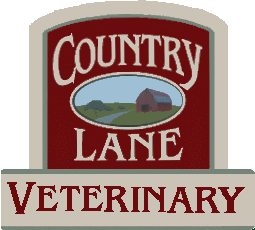 Employment at Country Lane Veterinary Service is hard work, but extremely enjoyable and rewarding. We are a family friendly practice that prides ourselves on providing high quality animal care in a pleasant and loving environment. Our motto implies this stating, "our clients are our friends". Our staff is a team of dedicated individuals with strong multitasking skills and a love for animals. We are looking to hire more individuals who share these qualities to become part of the team. We are a progressive animal hospital that is always searching for ways to better serve our clients. If you are looking for a small town environment in which to live this is a wonderful one, with a strong community and wonderful school system. The location enables easy access to both Rochester, and Niagara Falls only about an hour away. Looking for a well rounded veterinarian with strong small animal abilities (current medicine and surgery skills), and large animal knowledge. The ideal candidate will be dedicated, compassionate, and will connect well with clients. Our animal hospital will be a supportive learning environment, with the opportunity to grow and specialize specific interest areas. Part time or full time position available.